Borneo is old name of Kalimantan, actually not Only Kalimantan Called Borneo, in the time of Kingdom, Malaysia Brunai and Kalimantan is Called, Borneo. 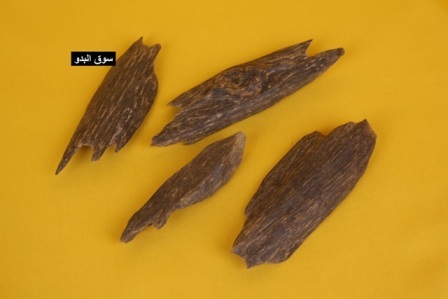 Agarwood or Oud Kalimantan had been famous of its scent in whole offer the world, especial from the City of Tarakan. In Kalimantan many city have Agarwood, like Samarinda, Banjarmasin, Tarakan, (Malinau/Malino) any other cities. The best Agarwood as we know is not from Tarakan or Malinau, all is depending on the type of tree and forest. There are some old trees left at the forest, so till this time Kalimantan still has Super Agarwood and Double Super Agarwood. Long scent left on the room when you burn, sweet, fresh, woody. Samarinda Agarwood close to Malaysia Agarwood, beautiful shape and color, but the scent is weak, that is what we have found in Samarinda Agarwood and Malaysia. Banjarmasin Agarwood is thick, sweet, weak scent, middle grade and low grade.